Mid-temperature, sandy, plastic, semi-vitreous, warm medium brown, native throwing body. 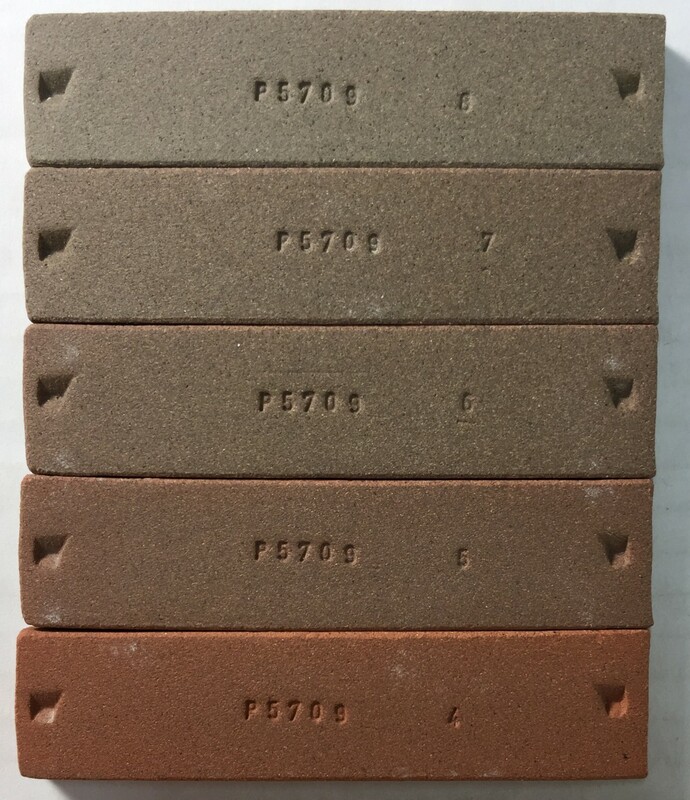 M332 is made from seven different native clay materials and it is generally used for two reasons: its appealing warm red fired color at cone 5-6 and its combination of a sandy texture and high plasticity. M332 is attractive when used with glazes that absorb and highlight body iron and with ware that leaves some bare patches of clay showing. M332 has exceptionally high dry strength. M332 has a highly plastic base with a sand complement to add texture. While it throws very well and generates sufficient slip, it can be 'grabby' during throwing with care to make sure pressure surfaces are not well lubricated. Once you learn how to throw it you will be amazed at what it can do. Cautions: Because of the sand content it can develop splits during construction or throwing if water is allowed to sit on the surface at stress points (i.e. the outer belly of a thrown vase). In addition, when pulling handles, you must develop techniques to minimize splitting. It is best to keep sponging of leather hard or dry ware to a minimum as this tends to remove fine particles at the surface and expose the coarser ones (a problem on the lips of functional ware. M332 needs to be dried with care to avoid cracking. Turn open shapes over as soon as they will support themselves and cover ware with cloth and plastic (not just plastic) to even out any gradients in water content. M332 fired bars from cone 4 to 8 oxidation (bottom to top). M332 burns to a warm brick-red at cone 3-5, shifting to a medium variegated red brown at cone 6, and finally to a grey brown by cone 8. If you want the attractive red color remember that M332 undergoes a sudden color shift from red to brown between cone 6 and 7. Fire carefully to avoid overshooting the target temperature and losing the red. The redish color depends on the body firing to 4-5% porosity. To get the best defect-free surface please consider using a hold-rise-drop-hold firing schedule. For example, at cone 6 start with the PLC6DS schedule for porcelains. For stonewares, the best results will come with the C6DHSC schedule. Since we add materials with coarser particles and impurities to give the surface a more earthy appearance you can expect that the body will not provide perfectly clean glazed surfaces for functional ware. Glaze disruptions such as small pinholes and specks will be common. You can often solve this by using a drop-and-soak firing schedule. In other cases it may be necessary to fire the bisque a little higher to expel more gases of decomposition. Although M332 burns a warm red color at cone 5, if you apply a transparent glaze it will flux the surface and the color will likely darken and turn dark brown brown. Thus, if you need to achieve red glazed colors it may be necessary to fire at cone 3-4. Also, because this is an iron-brown burning body it will impose some of its color on all glazes, darkening them and muddying colors. Clear glazes often do not work on dark bodies. The center mug is clear-glazed with G2926B (and is full of bubble clouds). This dark body (M390) is exposed inside and out (the other two mugs have a white engobe inside and midway down the outside). G2926B is an early-melter (starting around cone 02) so it is susceptible to dark-burning bodies that generate more gases of decomposition. 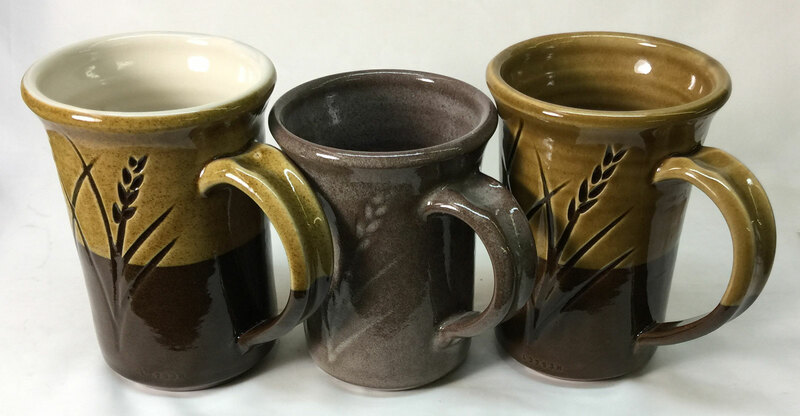 Left mug: The outside glaze adds 4% iron to G2926B (the glaze was not screened, so iron particles are agglomerated and acting as a fining agent, removing the bubbles). 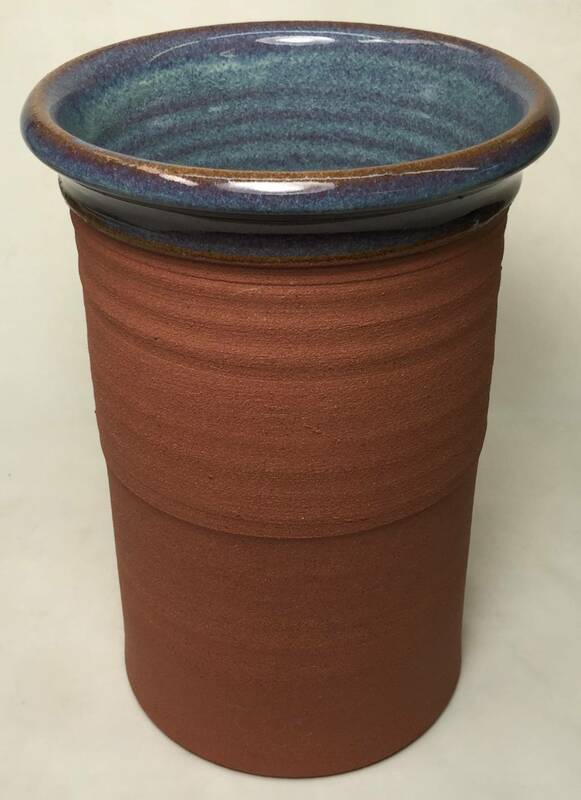 Right mug: The whole thing is glazed with GA6-B Alberta Slip base glaze. These amber glazes have an added benefit: The color darkens over dark burning bodies (to almost black). This body is a great candidate for the engobe process, we recommend the L3954B recipe. 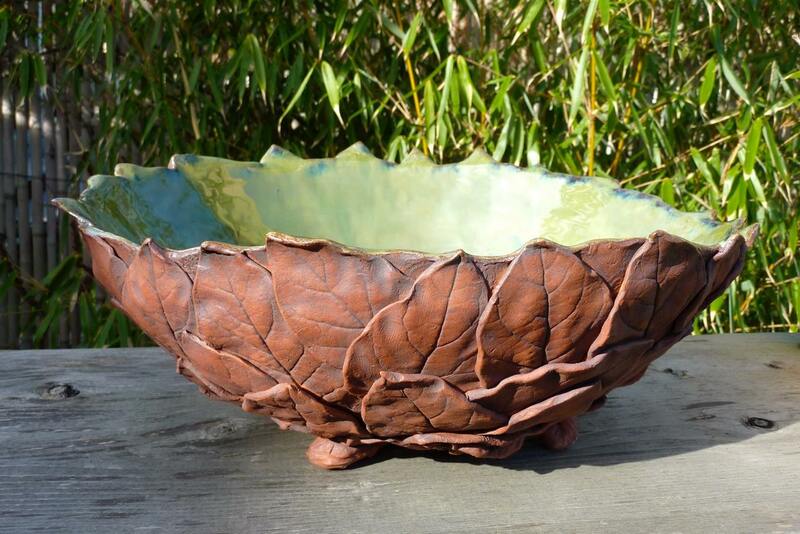 M332 bowl by Louise Bouchard.